I always assumed that wine was stored sideways for space-saving reasons (and that is a perfectly good reason to store wine sideways, should you choose to do so). Maybe I also thought that it had something to do with sediment, or sunlight? I can’t really remember, because this piece from The Drinks Business has blown all that knowledge right out of my brain. The same goes for humidity-controlled wine cellars (though The Drinks Business notes that the same isn’t true for barrel cellars). According to Dr. Cabral, who cites a 2005 study, the humidity of the environment “won’t have any influence, because the cork is influenced by the humidity inside the bottle,” he said, adding, “So the idea that you need to store wine in a damp cellar is another myth.” The same can’t be said of temperature, which can causes potentially negative changes to the wine. Last point, before I go get a bottle of rosé that’s standing upright in my fridge: Turns out that it does matter how you store your wine, because in the long run, storing it sideways may actually be bad for the cork and thus the wine. 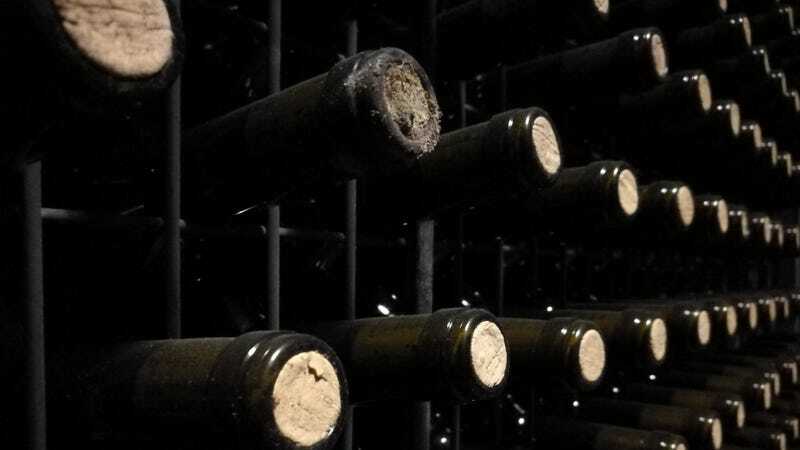 “When asked later by the drinks business why wet corks in older wines are sometimes shrunken, [Cabral] said that having the stopper permanently soaked by wine might actually accelerate the weakening of the cork’s cell structure. Everything I only kind of sort of knew but didn’t understand is a lie. What a ride.